Traveling can be a burden, even for those who have spent months preparing. Add in children and you’ve just signed up for even more stress—deep breath in, one, two, deep breath out. If one of those little humans happens to be a special needs child, specifically one on the autism spectrum, you’re in for a whole new set of challenges. According to the Centers for Disease Control and Prevention (CDC), in 2018, about 1 in every 59 children was diagnosed with Autism Spectrum Disorder (ASD). 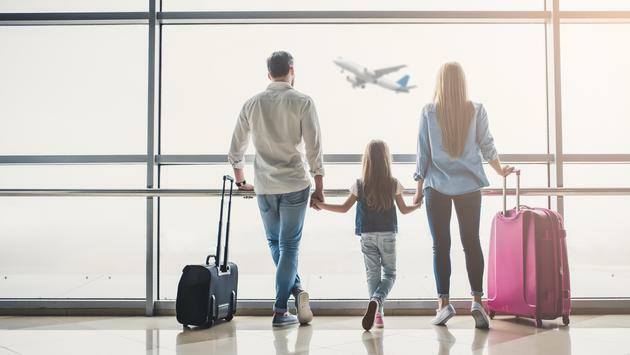 In honor of Autism Awareness Month and World Autism Awareness Day (April 2), we’ve put together a few tips for those traveling with a little one on the spectrum, hopefully putting your worries to rest and allowing your family the dream vacation they’ve always wanted. Sensory overload is a real thing. As a typical adult, I want to pull at my hair when my brain is trying to process an overwhelming amount of sights, sounds, lights and people around me. Often, children on the spectrum have a heightened sensitivity to their surrounding environment, so it’s essential to research the area you’re looking to visit or even the attractions you’re hoping to see. Start with your hotel or resort. Many industry giants have been making headlines for their recently implemented training programs meant to educate their staff on how to cater to those on the spectrum. Make a few phone calls and ask them how they can accommodate your family. If possible, forgo a room with a balcony, as autistic children love to wander. Ask for a room away from the elevators, gym, swimming pool and any other area that may be noisy. Fluorescent lighting can be a trigger for meltdowns, so inquire if there are rooms fitting your needs. Next, consider the attractions around your preferred destination. If you’re looking to visit a museum or monument, call ahead and ask for their peak visiting hours and avoid that time if at all possible. 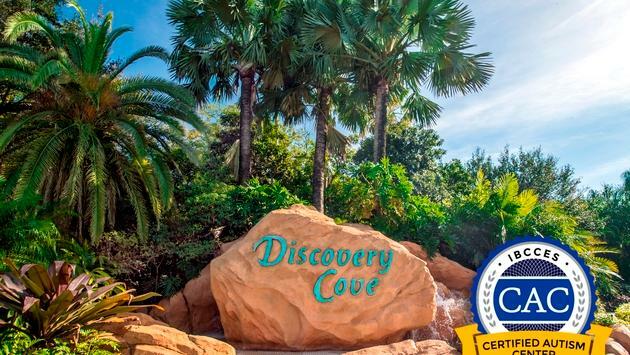 Many theme parks around the globe are now autism certified. Generally, the staff has undergone additional training on how to accommodate those with ASD, and you’ll often find quiet rooms and low sensory areas meant to reset your child’s sensory system. As the mother of a child on the spectrum, I’ve learned it’s best to prepare your child for what to expect ahead of time. Oh, you’re going to Disney World? Ask your child if they’d like to meet Mickey. Tell them there will be lots of other people around. If you have other children at home, practice standing in line so they’ll understand they need to wait their turn patiently. Carve out some time and explore Google Maps so they can see exactly where they’ll be going and what all will be surrounding them. Autistic children are creatures of habit and often have trouble functioning outside of their regular schedule. Whether you write it down and explain each activity to your child or use a picture chart so they can visually see what they’ll be doing next, planning out the day’s events is always a good idea. Be sure to include their everyday activities like brushing their teeth, eating breakfast and getting dressed, that way they can see their day hasn’t changed completely. Whether you have a child on a spectrum or not, every parent has been given that judgmental look from passersby when your kid is throwing a tantrum. Don’t let that deter you from giving your child every opportunity they deserve. Sometimes we all just need to take a breather. Whether it takes you 30 minutes or three hours to see everything, who cares. Either way, you just gave your child an experience they may never have again in their lifetime. If your little one is feeling overwhelmed, try to find a quieter spot, away from the hustle and bustle, and give them a few moments to reset. Talk calmly and let them know that everything is fine. Sometimes the problem is your child needs even more sensory than they’re getting. For these instances, try holding them or spinning them around in a circle. Getting that additional input their mind is craving can make them feel like a brand-new person. Sure, children on the spectrum generally pose a few more concerns than typical children, but you should never let that stop you from some quality, well-needed family time. It won’t be easy, and there will undoubtedly be challenges, but it’s completely worth it. Prepare yourself and your children for everything they can expect during your trip. What you’ll discover in the end is that it was easier than you initially assumed, and you created memories that will last a lifetime not only for you, but also for your child. Before you know it, you’ll find yourself planning next year’s vacation before you even deboard your return flight home!